Treatment for general body cleansing. Cleanses kidneys, liver, blood, colon, and the cellular system in general. Treatment for general body cleansing . Cleanses k idney, liver, blood, colon, and cellular system. I. General Drain - Aids in the elimination toxins of liver, lung, intestine, kidney, and skin. Stimulates the body's defenses. II. 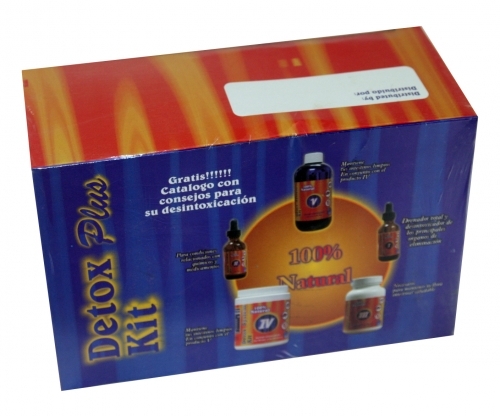 Chemical Detox - Removes chemicals and drugs from the body in general. III. Intestinal Cleanser - Keeps your intestines clean in order to have proper digestion. IV. Colon Cleanser - Helps to keep clean your colon for proper digestion. V. Restorative intestinal flora - Helps to keep your intestinal mucosa, intestinal flora healthy.